If you are currently serving in our armed forces or know someone who is, please take the time to thank them and hold them in your hearts and prayers on this, and every day. And please remember those who have given the ultimate sacrifice so that you and I can enjoy the abundance of freedom that we all too often take for granted every day. Today I had the honor of giving a talk to a local senior group at a church that had invited me to come in and discuss the Battle of New Market Heights. This was the second New Market Heights talk I’ve given to an elderly church group in the past two months, and I thought it was very interesting that one group was all African American and the other group was all white and they both had virtually identical reactions. 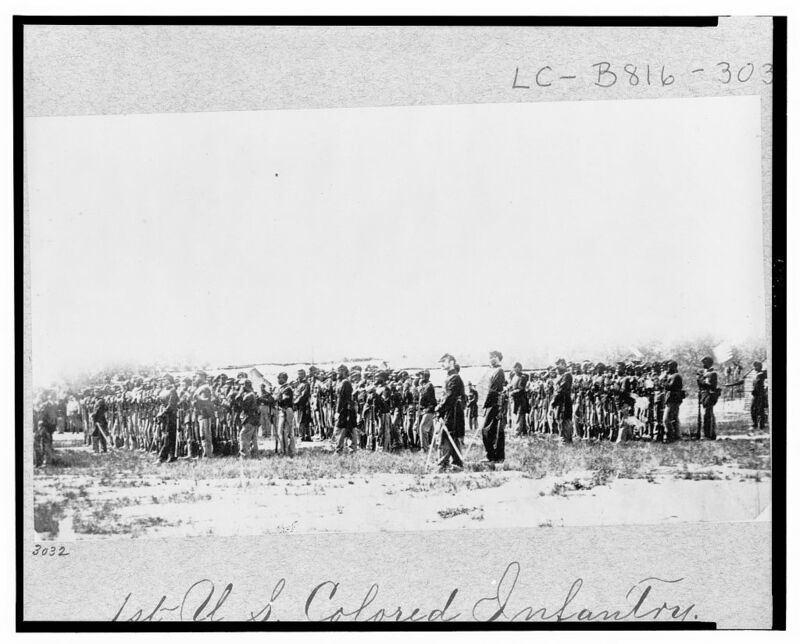 First, both church groups were practically unaware that African American soldiers served in large numbers during the war. 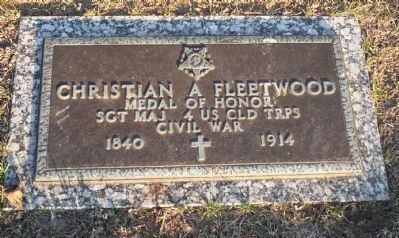 They were equally unaware of the battle that took place at New Market Heights and the fact that fourteen black soldiers were awarded the Medal of Honor. When someone came up to me and told me that their grandfather fought for the Confederacy and that “I still fly the flag every day” I have to admit that I blanched. When I reached the point in my talk when I quoted James A. Seddon as saying “Slaves in flagrant rebellion are subject to death by the laws of every slave-holding State…They cannot be recognized in any way as soldiers subject to the rules of war and to trial by military courts…summary execution must therefore be inflicted on those taken” I was even more concerned at how the group might react. As it turns out, my fears were completely unfounded and they probably speak more about my own state of mind than theirs. They were fascinated by the story of black men striking a blow for their own freedom and said the same thing that I hear over and over again when I talk about New Market Heights…namely, why hasn’t anyone told me about this before? While this question is beyond the scope of this post, I think it’s interesting that a senior group at an African American church invited me to speak to them back in April and they had pretty much the same reaction. When I asked for a show of hands as to how many of them had heard about New Market Heights, the only person that raised their hand was the person who had invited me to speak to the group. I don’t want to read too much into this, but I thought that it was interesting that two groups of equal size and roughly the same age, yet of different color, would react in the same way to a talk about something that happened literally in their own back yard. Are they simply victims of what Dimitri Rotov would refer to as a “Centennialist” approach to Civil War history that neglected the African American contribution? Or does this simply speak to the fact that they were not that interested in the topic in the first place? Either way, it was my pleasure to talk to these groups and discuss an endlessly fascinating topic with them. Last month I reported that I had received word form the History Press that they would like to work with me on a book about New Market Heights for their Sesquicentennial Series. 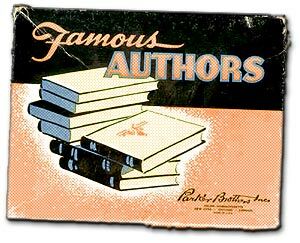 I’m happy to report that the details have been ironed out and the book will be hitting shelves in August of 2011. This will be the first single-volume treatment of the battle to be written, although I will be treading in the familiar pathways of authors such as Richard J. Sommers and Louis H. Manarin who wrote extensively on the battle in their respective works. The book will have between 30 and 40 images and maps and will hopefully do justice to a battle that has wallowed in relative obscurity for too long. This weekend will mark the 13th annual re-enactment of the engagement at Wilson’s Wharf at Fort Pocahontas in Charles City County. The fighting at Wilson’s Wharf on May 24, 1864 pitted 1,100 United States Colored Troops under the command of the radical one-armed abolitionist Brig. Gen. Edward A. Wild (a man who certainly lived up to his last name) against a larger force of Rebel cavalry under the command of Maj. Gen. Fitzhugh Lee. 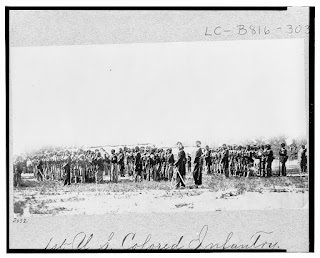 The 1st and 10th USCT made up the bulk of the Union garrison and when Lee’s troopers arrived their commander sent a note to Wild demanding that the garrison surrender. I knew they would fight more desperately than any white troops, in order to prevent capture, because they knew…that if captured they would be returned into slavery…There was no danger of surrender. 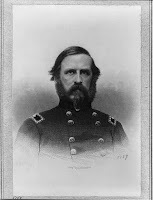 Wild allegedly responded to Lee’s note by saying “Present my compliments to General Fitz Lee and tell him to go to hell!” After that, the fight was on. The outnumbered force staved off two attacks from Lee’s men and, with the help of the gunboat U.S.S. Dawn, inflicted at least 20 killed and around 100 wounded before Lee disengaged. Remarkably, Wild’s men lost only two killed and twenty-one wounded. Visitors to the re-enactment this weekend will have a chance to see the actual ground where this battle took place and will have a chance to tour the fort where Wild’s men fought and see a recreation of that battle with commentary from Mitch Bowman of Civil War Trails. For more information, be sure to visit the event website. While treating my wife to a relaxing weekend in Williamsburg, I couldn't resist the temptation to treat myself to a book that I have been wanting ever since I first heard about it on Civil War Talk Radio. 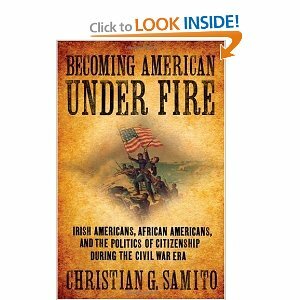 It's called Becoming American Under Fire: Irish Americans, African Americans, and the Politics of Citizenship during the Civil War Era by Christian G. Samito. 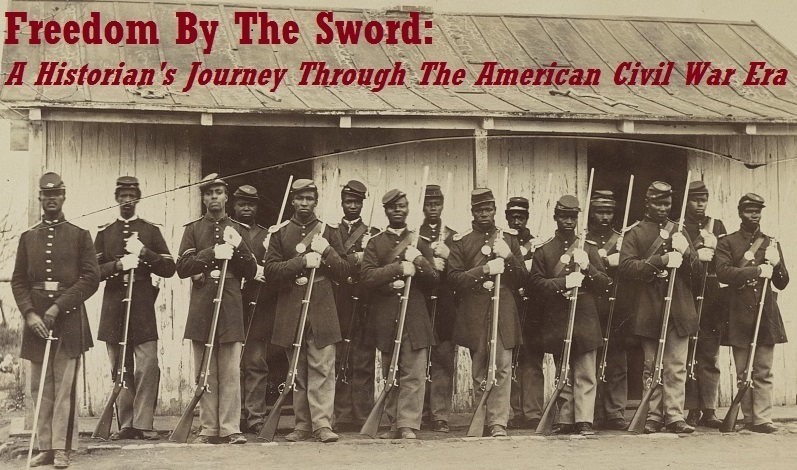 From what I've read so far, I would not hesitate to recommend this work to anyone interested in learning how 19th century Americans conceptualized citizenship and how two specific groups sought to earn the benefits of citizenship through military service. 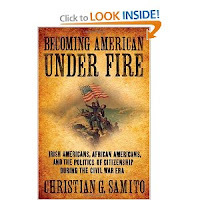 Obviously, I am more interested in what Samito has to say about the African American experience, but the totality of what Samito has to say is fascinating. I'll be sure to post a full review when I am finished. 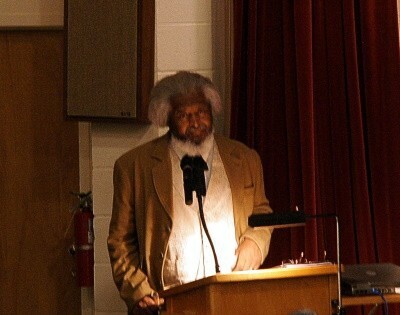 Looks like the New Bern USCT Symposium is in full swing. While I'm not exactly sure what an "enactor" is, this news article does feature some photos of the event thus far (things wrap up tomorrow). Today marks the anniversary of the opening of one of the most fascinating and misunderstood campaigns of the entire Civil War – the Bermuda Hundred Campaign. Part of Grant’s overall strategy to strike a coordinated blow against Confederate forces in Virginia and Georgia, the Bermuda Hundred Campaign was devised by Ulysses S. Grant and Benjamin F. Butler in April of 1864. The plan called for Butler’s Army of the James to establish a base on the Bermuda Hundred peninsula which was located on the south side of the James River between Richmond and Petersburg. Once the base was established, the Army of the James would be perfectly situated to threaten both important cities. 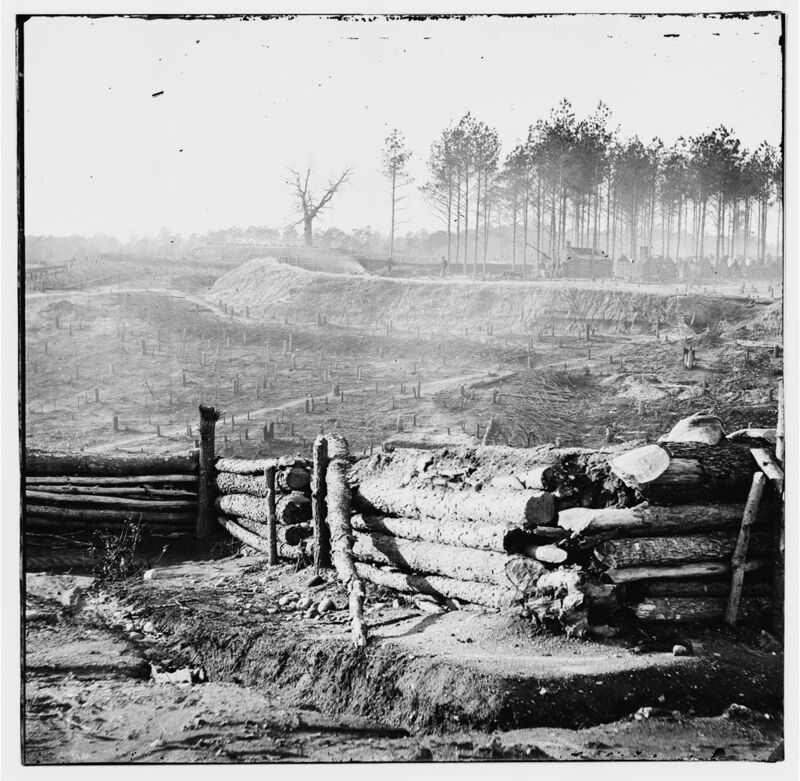 The landing at Bermuda Hundred was accomplished on May 5, 1864 and for the next fifteen days sporadic fighting at places such as Port Walthall Junction, Swift Creek, and Drewry’s Bluff proved inconclusive. 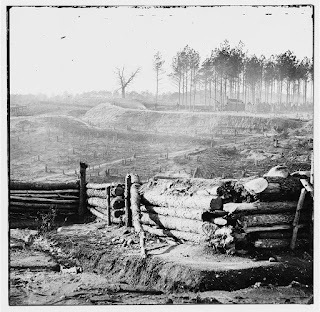 By May 21, 1864 the Confederates finished the construction of the Howlett Line and settled in for a stalemate that would continue until the night of April 2, 1865. 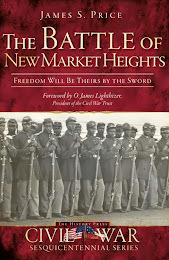 Many of the USCT units that would fight at New Market Heights were bloodied for the first time in these battles. Immediately after the campaign had concluded, the phrase “bottled up” became synonymous with both the campaign and Butler himself, who had to endure the nickname “Bottled Up Butler” for the rest of his life. 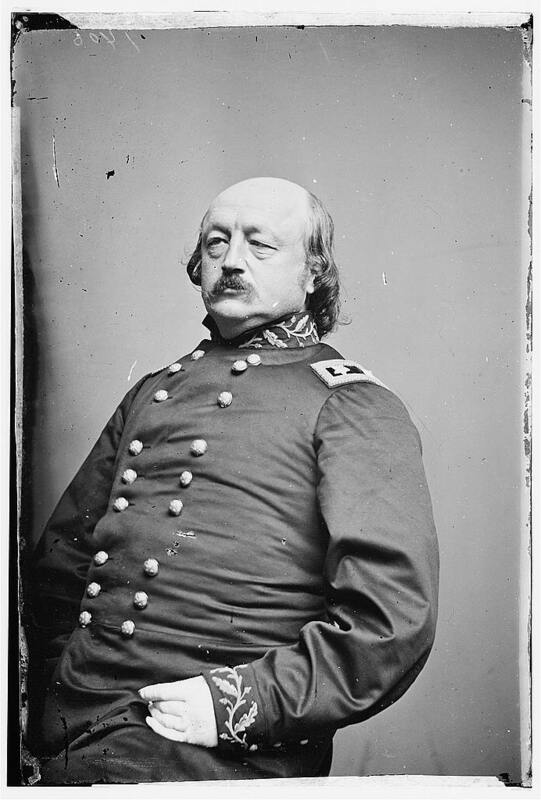 The phrase seems to have originated with Brigadier General John Barnard, who had met with Grant concerning Bermuda Hundred and compared Butler’s position there to a tightly corked bottle. Grant then used the phrase in his Final Report of Military Operations in 1865, and it appears to have stuck thereafter. Civil War historians, eager to heap scorn upon the controversial Butler, used the phrase to poke fun at what they thought to be Butler’s incompetence. 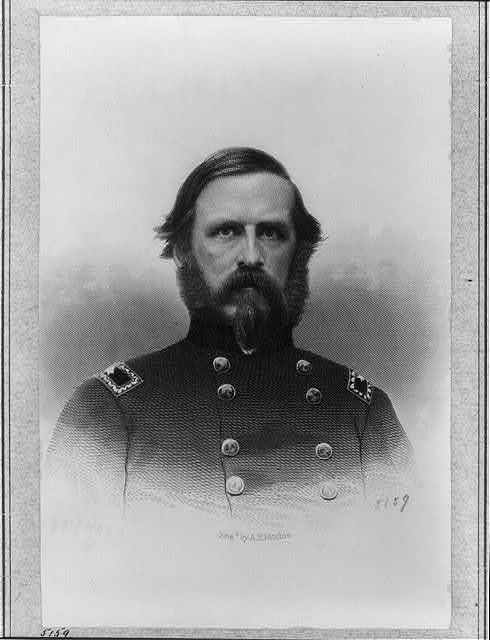 It got to the point where Grant actually took the time to explain the use of the phrase in his memoirs, stating that “in making my subsequent report I used that expression…never thinking that anything had been said that would attract attention – as this did, very much to the annoyance, no doubt, of General Butler and, I know, very much to my own” (Grant, Personal Memoirs, 377). To this day, however, the association of the phrase “bottled up” is synonymous with Bermuda Hundred. Jefferson Davis used the phrase in his Short History of the Confederate States of America and modern historians such as Bruce Catton, Allan Nevins, Harry Hansen, Clifford Dowdey, and James McPherson all use the phrase in their very short descriptions of the campaign. William Glenn Robertson, author of Back Door to Richmond: The Bermuda Hundred Campaign, April – June 1864 concludes that “even the most recent Civil War survey texts uncritically accept Barnard’s inappropriate characterization of Butler’s situation.” Why is it inappropriate? Well, it belies the fact that Butler retained complete freedom to move away from the peninsula by boat, which he did on numerous occasisions, especially when he consolidated his troops for the attack on Richmond that resulted in the battles at New Market Heights and Fort Harrison. The beginning of one of those myths was set in motion 146 years ago today.